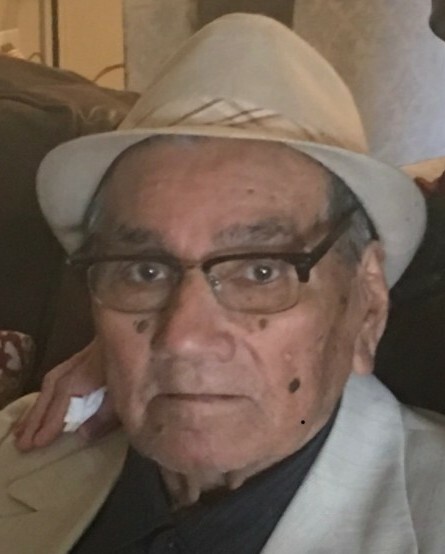 Pedro Gallardo, 83, of Amarillo passed away April 9, 2019 after fighting a long battle with stomach cancer. Rosary will be said from 6-7:00 p.m., Thursday, April 11, 2019 at Angel Funeral Home. Funeral services will be held at 2:00 p.m., Friday, April 12, 2019 at Amarillo Para Cristo, 2337 NE 24th Ave. Burial will follow in Llano Cemetery. Arrangements are by Angel Funeral Home. Pedro was born September 8, 1935 and lived in Hereford, TX. He married Anita Mungia in Clovis, NM and together they raised 8 children in Hereford. He was a loving and supportive father to Pete, J.R., Sylvia, Danny, Sandra, Kathy, Amos, Henry and Sarah. Pedro was an inspiration to all those he encountered. He always took care of his family including grandchildren and great-grandchildren. He will never be forgotten. Pedro’s legacy will live on through his children.